We found 0 results for memory care in Nags Head, North Carolina. We have also included 1 result in surrounding areas. The costs per day for dementia care in North Carolina range from $53 to $382, with an average expenditure running about $142. The per month cost averages roughly $4,263 and ranges between $1,595 and $11,447. On a yearly basis, the median cost is around $51,156, which is under the national average of $60,900. 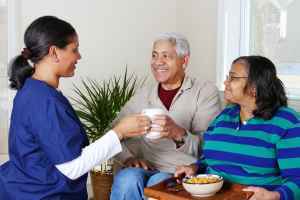 Memory care costs in Nags Head generally range from around $2,723 per month to $10,568 per month, with a median cost of about $5,394 per month. That equates to an annual cost of $64,726. Nags Head is a small town in Dare County, North Carolina. Though the city itself has only 2,789 inhabitants, the surrounding metro area has a total population of 2,068,612. About 35% of the local residents are over 55. The SeniorScore™ for Nags Head is 70. The city's median household income is $54,000 ($28,000 on a per capita basis), in comparison to the average of $41,000 for the entire state of North Carolina. The median housing price in Nags Head is $489,000, which is much more than the North Carolina average of $204,000. The city has an average unemployment rate of about 7.69%. Nags Head has ideal average temperatures, with very mild winters and warm summers. The area gets very large amounts of rain each year. In comparison to similarly-sized cities, Nags Head has a low rate of crime, poor water quality, and exceptional air quality. To see information on the SeniorScore™ for Nags Head, NC, please visit senioradvice.com/seniorscore/senior-living-in-nags-head-nc.